At some time or another, all parents worry about what will happen to their children if one or both parents were to die prematurely. Often, life insurance is the first place parents turn when these worries arise. Although life insurance might be a good source of income for your children if you die, before buying a life insurance policy you should carefully consider whether or not you really need it, what type of policy is best, and who should manage the proceeds on behalf of your children. Avoid expensive cash value life insurance (whole life, universal life, and variable life) policies that offer a lump-sum payment after a certain period of time (20 or 30 years, for example) or after you reach a certain age (often 65). This lump-sum payment is sold as a long-term savings/investment feature and it does nothing to affect how much money will be available to your child if you die in the next few years. If you're reasonably young and healthy, consider purchasing a moderate amount of term insurance, which is the cheapest form of life insurance. Younger parents can obtain a significant amount of coverage for relatively low cost, for the obvious reason that statistically they are unlikely to die soon, so the risk to the insurance company is lower. It will provide quick cash for your children, if necessary, without draining your bank account now. You might not want to name minors as beneficiaries of your life insurance policy. Instead, name a trusted adult beneficiary who will use the money for the children's benefit. If you are confident that this adult will not waver from his or her duty, even years down the line, this might be the easiest option. You can name your children as your life insurance policy beneficiaries and also name an adult custodian under your state's Uniform Transfers to Minors Act (UTMA). Most insurance companies permit this and have forms for it. If you want the proceeds to go to more than one child, you'll need to specify the percentage each receives. If you have a living trust, you can name the trustee as the beneficiary of the life insurance policy. In the trust document, name the minor children as beneficiaries of any money the trust receives from the insurance policy. Also, establish within the trust a method to impose adult management over the proceeds, which can be either a UTMA custodianship or a child's trust. You'll need to give a copy of your living trust to the insurance company. Age when proceeds are released. In most states, a UTMA custodian must turn the proceeds over to the child at an age specified by law—18 or 21 in most states, up to 25 in just a few. In contrast, with a child's trust, you can specify any age at which your child receives the proceeds. Reporting requirements. A trustee for a child's trust must file yearly income tax returns for the trust. A UTMA custodian need not file tax returns, although the minor must file a yearly return reporting money actually received. Generally speaking, a UTMA custodianship is the most attractive option, unless the amount of insurance is very large and the child will need a property manager past the age of 21. The UTMA custodianship is simpler to set up and manage—and often cheaper (from a tax point of view)—than a child's trust. A UTMA custodianship is particularly sensible for proceeds below $100,000. Amounts of this size are often expended fairly rapidly for the child's education and living needs, and are simply not large enough to tie up beyond the age of 21. If larger amounts are involved and you do not believe the child will be able to responsibly handle the money at the UTMA age limit, a child's trust is a better bet. For more information on life insurance and children's trusts for your estate plan, read Plan Your Estate, by Denis Clifford (Nolo). 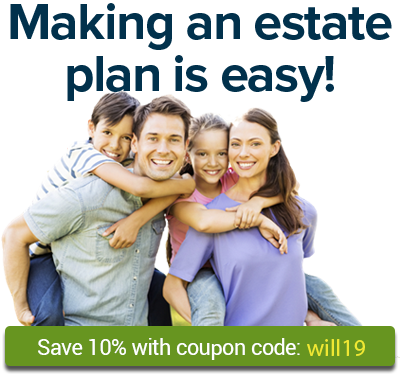 For more information about estate planning and will making see Nolo's Estate Planning Bundle.